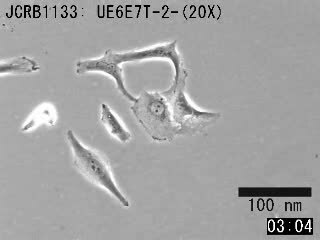 Human bone marrow-derived mesenchymal stem cells. 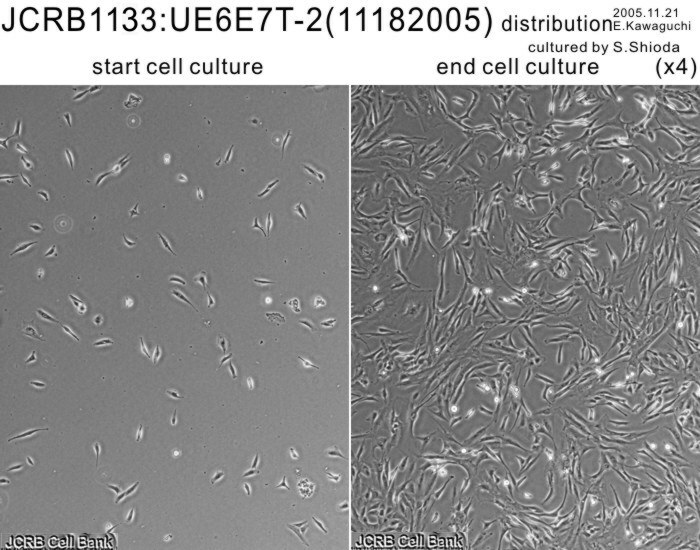 Human bone marrow-derived mesenchymal stem cells which were infected with recombinant retroviruses expressing the E6, E7, and hTERT. 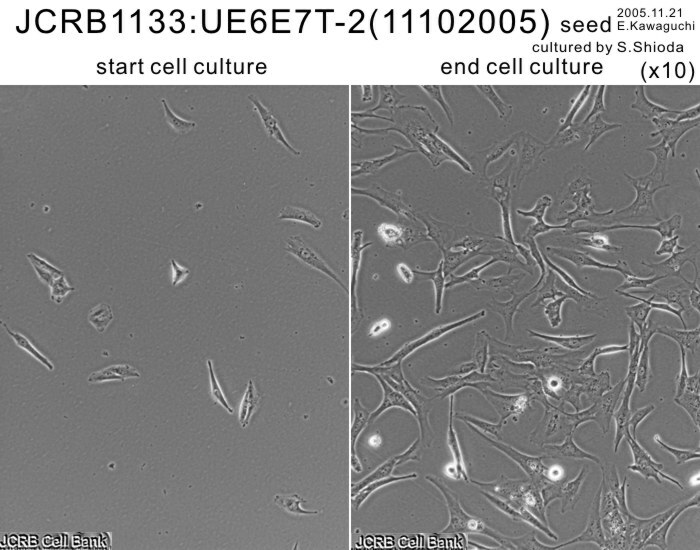 When the cultures reached subconfluence, the cells were harvested with 0.25% trypsin and 1mM EDTA and replated with one-half of harvested cells. 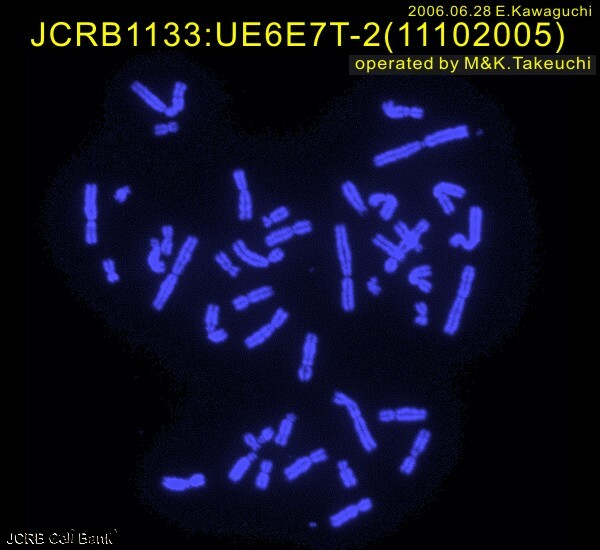 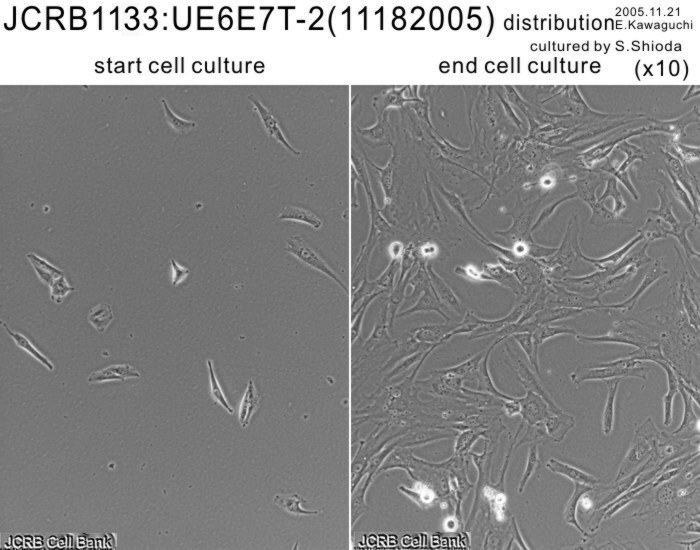 Can the life span of human marrow stromal cells be prolonged by bmi-1, E6, E7, and/or telomerase without affecting cardiomyogenic differentiation? 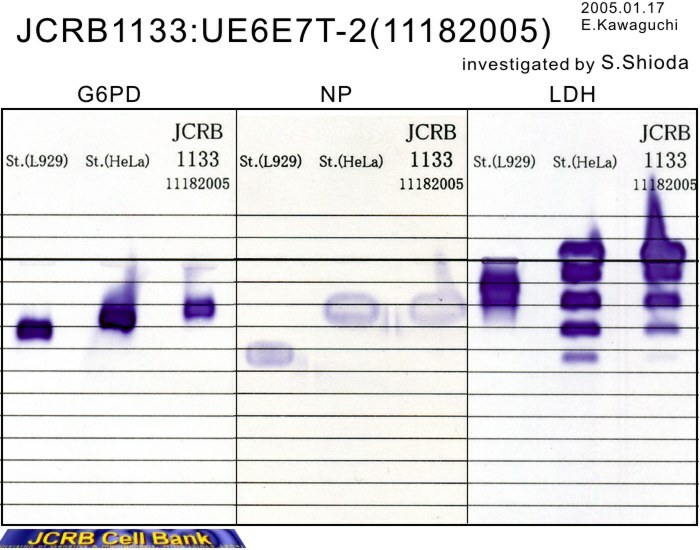 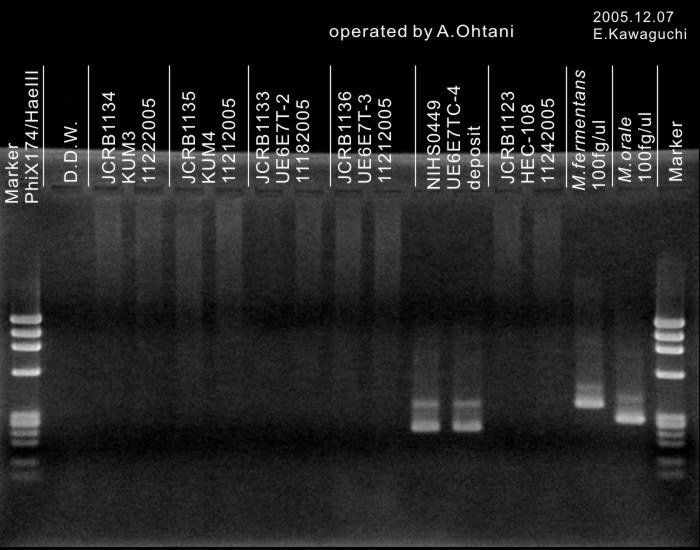 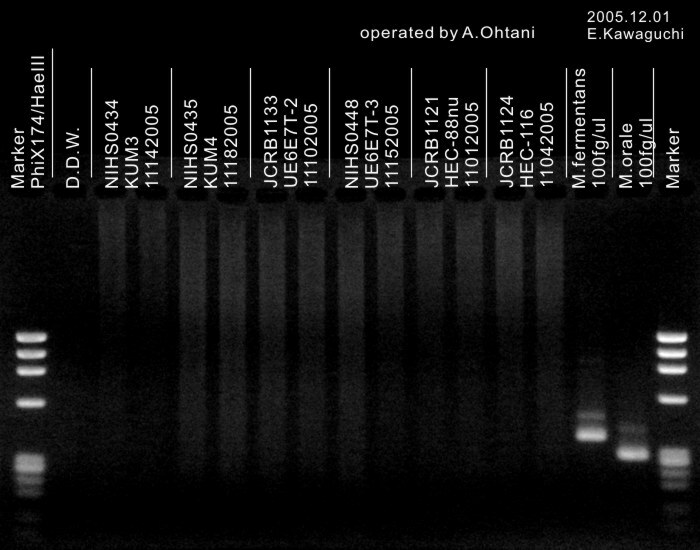 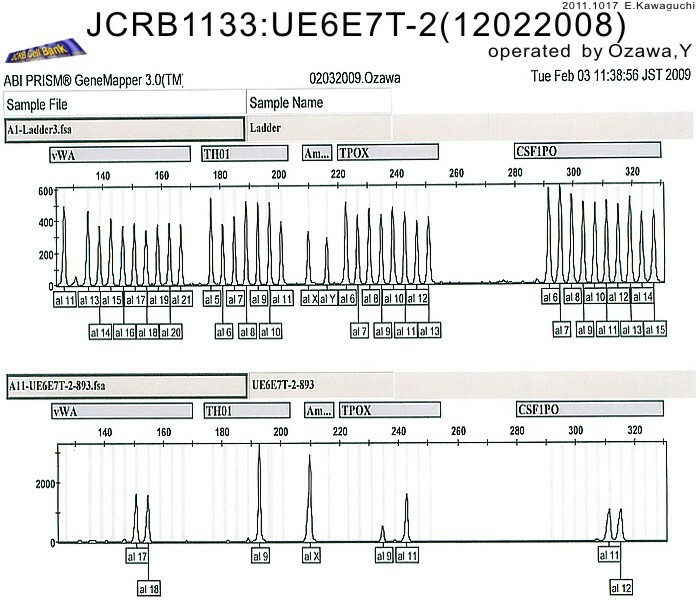 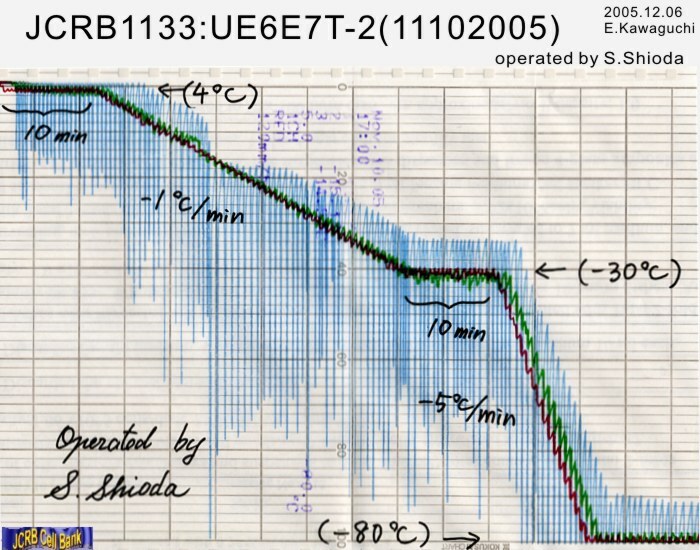 Confirmed as human by NPand G6PD (type B), LD, MD. 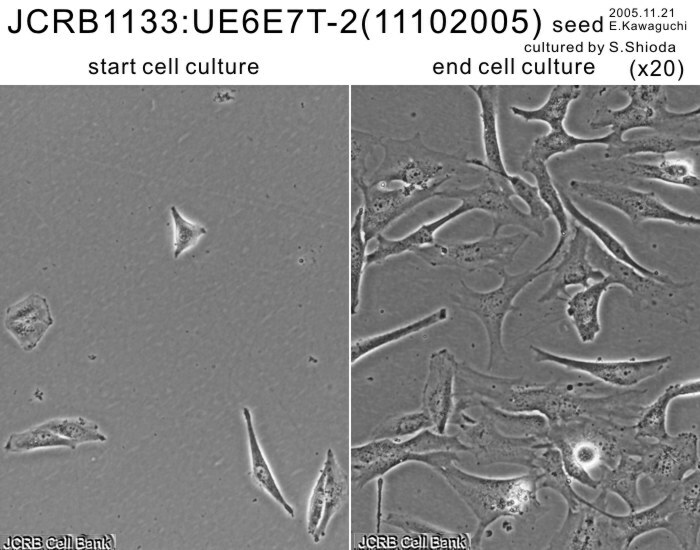 When the cultures reached subconfluence, the cells were harvested with 0.25% trypsin and 0.02% EDTA and replated with one-half of harvested cells. 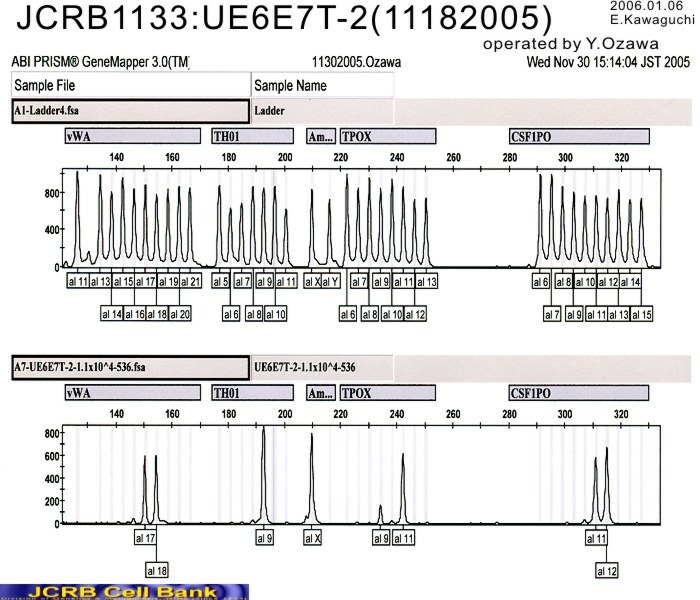 DMEM with 10% DMSO and 20% FBS. 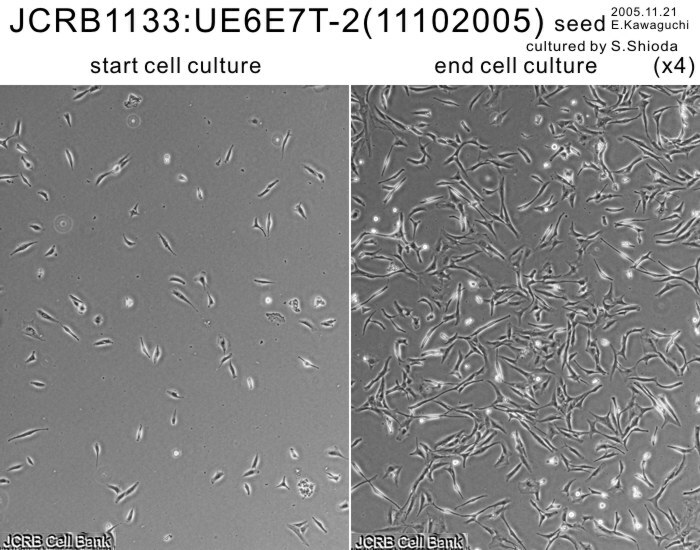 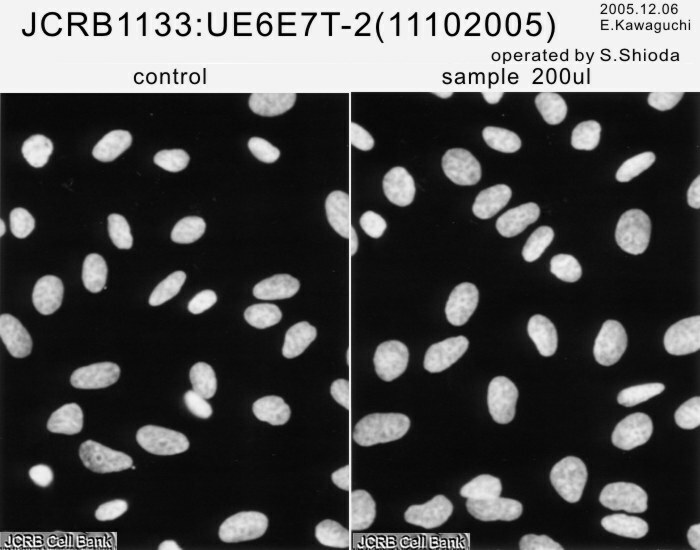 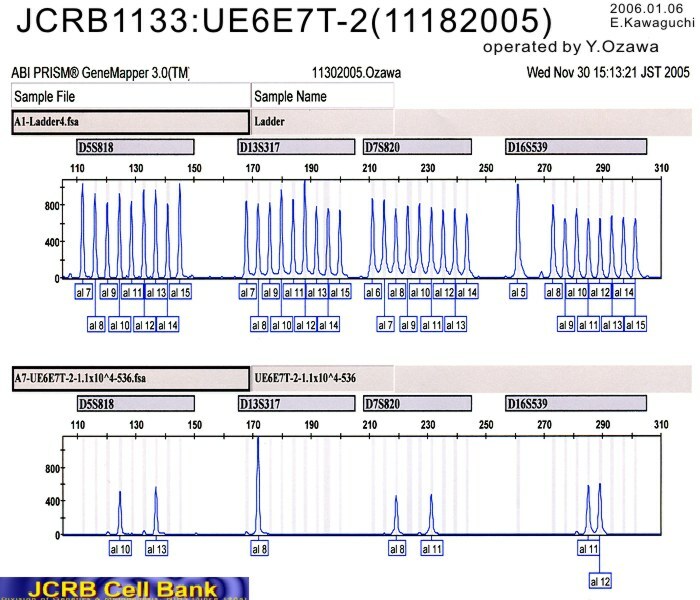 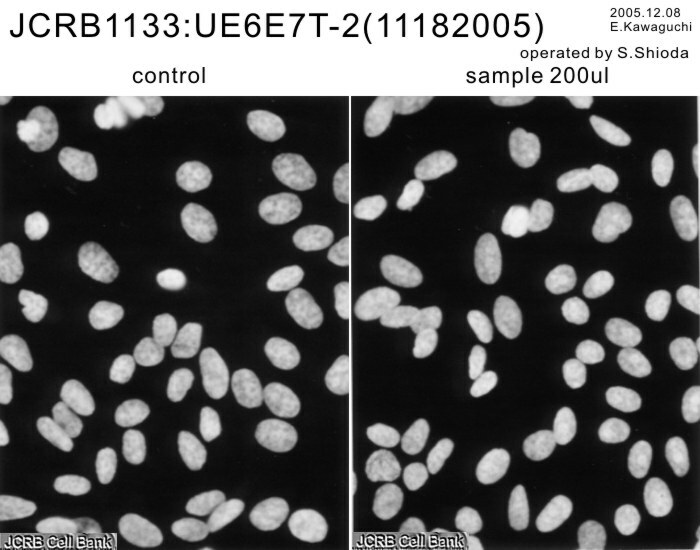 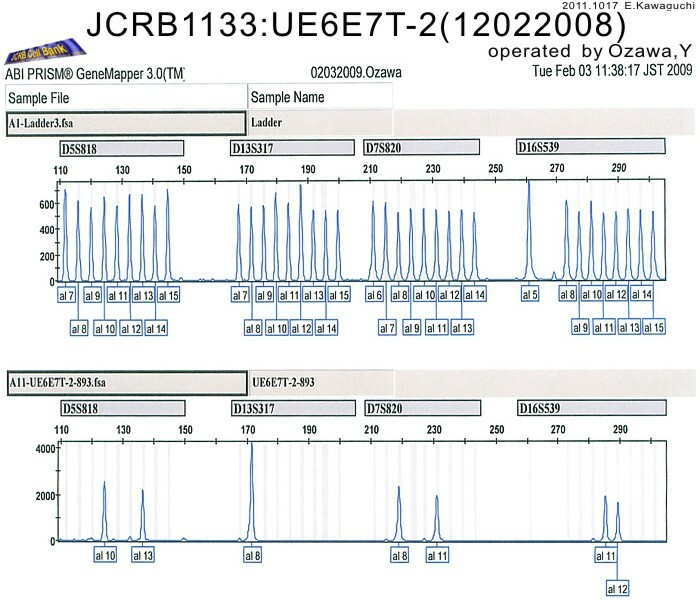 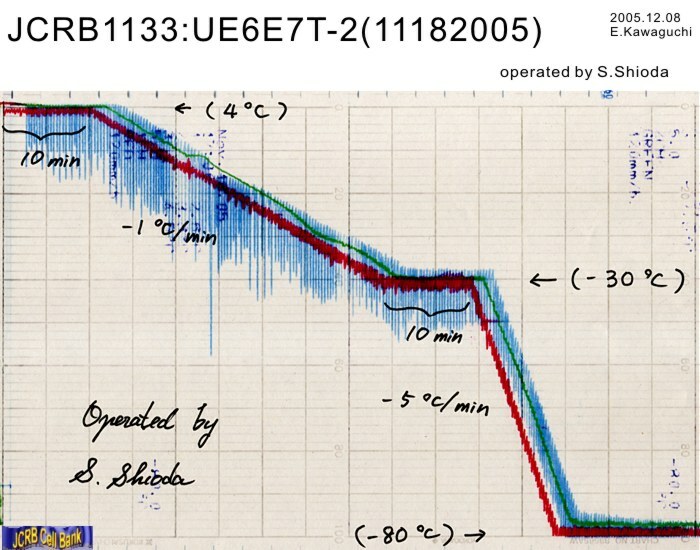 Cells were harvested after treatment with 0.25% trypsin and 1mM EDTA.EDTA.